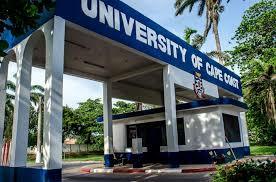 The University of Cape Coast School of Medical Sciences will hold the fourth White Coat Ceremony for the fourth batch of clinical students who are due to commence their clinical rotations in August, 2013. The White Coat Ceremony is a symbolic activity to induct the students into the Medical Profession. The ceremony is held at the beginning of the clinical training to welcome the medical students into the profession albeit as a student member. During this ceremony, student doctors are told about the commitment that they are making both to becoming and staying proficient in the science and technique of medicine and also to the human obligations of being a doctor especially to the central obligations of caring for their patients. The School invites the University Community and the general public to witness the Ceremony.